Harper Lee, Stephen King and a lot of Young Adult books highlight the August Cook Memorial Public Library staff reading list. 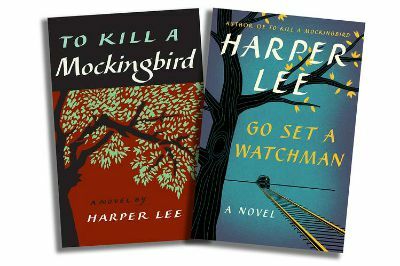 Harper Lee returns: Unless you have been living under a rock, you probably know that Harper Lee’s Go Set a Watchman came out in July. It’s been a hot topic among library employees and patrons, and there are more than 100 holds. Should you read it? I say yes, IF you are intrigued by the writing and editing process. After Harper Lee submitted Go Set a Watchman in the mid-1950s to her publisher, her editor advised her to change the focus from an adult Scout to a young Scout. This resulted in the classic we have today, To Kill a Mockingbird. Readers rarely get to see writers’ works that were discarded before their final novels came out. I found reading Go Set a Watchman fascinating, especially after I re-read Mockingbird to compare the two books. How Lee changed the voices, characters and plot line was brilliant. Watchman is a good book; Mockingbird is a great book. Watchman has its faults, which I bet is why Lee never wanted to publish it. One of its faults is that not much happens. However, Lee’s voice comes through and she gives us glimpses into Scout as she grows older, something readers don’t get in Mockingbird. Written in the mid-1950s, Watchman sharply addresses the problems of race and prejudice, which still are still issues we need to read about, think about, and discuss. For more on Go Set a Watchman, read Ellen Jenning’s excellent review here. 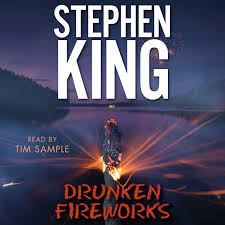 Kingly fireworks: Stephen King decided to release his new short story, Drunken Fireworks, only as an audiobook. People who love only print will be disappointed, but we have it on CD and as a downloadable audiobook on 3M Cloud Library and MyMediaMall. Librarian Mark, who is a King fan, gave it 4 stars on Goodreads. King is a big audiobook fan, and has said that listening to books has improved his writing. Here’s an interesting article about King and Drunken Fireworks in the New York Times. Young Adult love: The library staff proves that Young Adult books aren’t just for teens anymore, listing nine books this month. 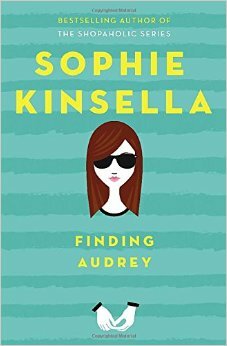 One of the new releases is Finding Audrey by Sophie Kinsella, recommended by Chris in circulation, who said that her 19-year-old daughter recommended it to her. “It has Sophie Kinsella’s humor from her earlier books—sooo funny — and the wit that teens will enjoy.’’ Chris said. “Five stars for this one from me!’’ Another young adult book that got five stars is The Kidney Hypothetical: or How to Ruin Your Life in Seven Days by Lisa Yee. Read Cyndi’s review here. Here is the entire list of fiction we read this month. Don’t forget to click on the next page to see them all. Fiction staff discovers a great thriller writer: Last month the Fiction staff enjoyed the spy novel, The Tourist by Olen Steinhauer as part of its genre study. What a great author! We liked his complex plot, the well-developed main character Milo Weaver and page-turning fast pace. If you are a fan of John LeCarre or Daniel Silva, give Steinhauer a shot. Mystery fans, rejoice! Louise Penny is back: I was fortunate to receive a pre-pub of Louise Penny’s new book, The Nature of the Beast, which comes out Aug. 25. If you are a Penny fan, you better put it on hold now. It was excellent, and I will post a review here soon. To see all the mysteries we read, click here. Here is the entire nonfiction list. A true story that nailed it: If you are looking for a good memoir, I recommend Hammer Head: The Making of a Carpenter by Nina MacLaughlin. I think a lot of people have thought about leaving a job that wasn’t fulfilling and trying something new. MacLaughlin fulfilled this fantasy and shared the highs and lows of her great life change. The journalist left her keyboard and picked up a hammer as a carpenter’s apprentice. MacLaughlin sprinkled her narrative with tidbits about carpentry, such as the history of the screwdriver and the word screw, and how carpenters are almost all white and male. Her story is funny, inspiring and informative. Here is the entire History/Biography list. Happy summer reading!